For those of you who enjoy a glass of fine wine – perhaps a crisp Chablis or a full-bodied Minervois red; maybe an aromatic Riesling, or that aristocrat of sparkling wines, champagne – many of our hotel barges cruise right through the regions of France where these wonderful wines are produced. For example, Panache, a 12-passenger vessel with a doting crew of six, offers an enviable choice to wine enthusiasts. She will cruise for 5 weeks in May & June through Champagne on the delightful River Marne, with an itinerary that includes three private tastings at renowned champagne houses, a visit to the hilltop village of Hautvillers where the monk Dom Perignon discovered the ‘methode champenoise’ and a tour of Reims. Then, from July to October, the barge will cruise in Alsace on the Canal de la Marne au Rhin, with highlights that include a tour of the Route de Vins d’Alsace, a private wine tasting or two of Gewurtztraminer and Pinot Gris, and a visit to the beautiful city of Strasbourg. Alternatively, if red wine is more to your taste, our cruises on the rural canals of Burgundy, or along the historic Canal du Midi in the Languedoc will certainly get your taste buds tingling. 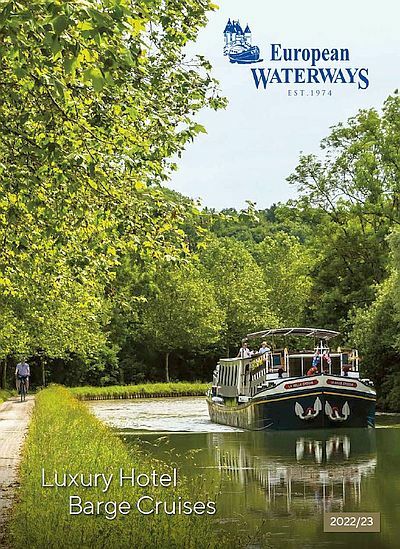 Burgundy boasts 60,000 acres of vineyards and the hotel barges L’Art de Vivre and La Belle Epoque cruise nearby on the Canal de la Bourgogne and the Canal du Nivernais. The chefs on board will prepare meals using wonderful local ingredients such as Charolais beef or escargots, matched with fine Burgundies like Savigny-Les-Beaune and Meursault. And of course, being Burgundy, there will be tastings at a renowned domaine, perhaps in Chablis, as well as visits to elegant châteaux, hilltop villages and riverside towns like Auxerre. Further south, the 300-year-old Canal du Midi meanders through France’s largest wine-growing region, Languedoc-Roussillon, where the distinctive Corbières and the much-envied A.O.C. Minervois wines are produced – perfect accompaniments to the fresh seafood and Provencale specialities served on board Anjodi. During a cruise on this classic 8-passenger hotel barge, you will sample wines at the 14th century winery of Château de Perdiquier and, this being Cathar country, visit the fortified city of Carcassonne and the spectacular hilltop village of Minerve. Whatever your taste in wine, there truly is something for everyone. For more details, contact our Reservations Team.